Changing consumer perceptions around health, lifestyle choices and perceived sustainability is persuading more consumers to choose dairy-free, it said. It is about time dairy farmers started taking lessons from their dairy-free counterparts, according to financial services company Rabobank. The firm said the industry should ‘connect emotionally’ and reflect the success of alternative milk products in their own produce, following tips nutrition, price and flavour tended to favour the sector. Changing consumer perceptions around health, lifestyle choices and perceived sustainability was also persuading more consumers to choose dairy-free, it added. It follows a 3.5 per cent drop in global sales of fluid milk in the five years to 2017, compared to a 4 per cent jump in sales of dairy alternatives in the same period. 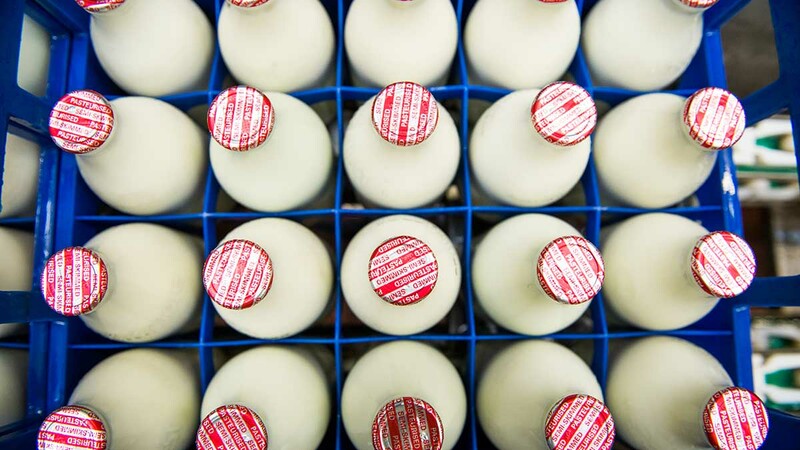 Its latest report, Dare not to dairy: What the rise of dairy-free means for dairy and how the industry can respond, Rabobank said the time was right to trade the ‘old grass-to-glass model for glass-to-grass’. Tom Bailey, RaboResearch dairy senior analyst, said: “Global demand for dairy is expected to grow by 2.5 per cent for years to come, with demand for non-fluid categories offsetting weak fluid milk sales. The report said the marketers of dairy alternatives ‘generally appeared’ to be doing a better job of connecting emotionally with consumers who favour more dairy-free options to meet their own perceptions about health and lifestyle, with the single largest factor driving consumers to choose dairy-free a shift in perception of consumers who believe dairy-free is better for them. These same consumers trust their peers and other influencers over professionals, Rabobank said. “Somewhat baffling is the finding that price and taste are not found to be incentives for consumers to leave dairy,” Mr Bailey said. “However, they are leading variables among purchasing decisions within dairy alternative categories.